PODCAST: Sons of Punch-Off to a sluggish start. 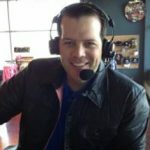 Nick Mendola and NHL.Com’s Joe Yerdon are back with another edition of the Sons of Punch podcast. In this edition, they discuss the Sabres rougher than rough start.